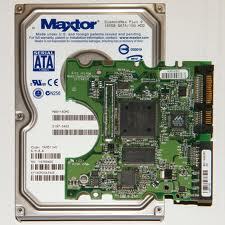 If you are looking for Hard Drive buyers you have come to the right place! AWA Refiners Ltd offer a service to purchase your hard-drives, 100% recycle them and provide a full certificate of destruction. Data protection legislation is changing this year and it is becoming more important to focus on the safety of data and ensure that all data is protected and destroyed. With our 100% recycling service all hard drives are shredded into tiny pieces in accordance with ISO 9001, ISO 27001 and Responsible Recycling (R2) Practices. You can be assured that your hard drives are in safe hands when they arrive at AWA Refiners Ltd.
Not only do we offer 100% recycling along with full destruction; because we recover the precious metal elements from the hard-drives we can also offer a competitive payment for you in return. Not only do you get peace of mind that your hard-drives are fully destroyed and recycled; you can also sit back and wait whilst the money is transferred directly into your bank account within 48 hours of receipt of the goods! Our sales team are waiting to take your call…..